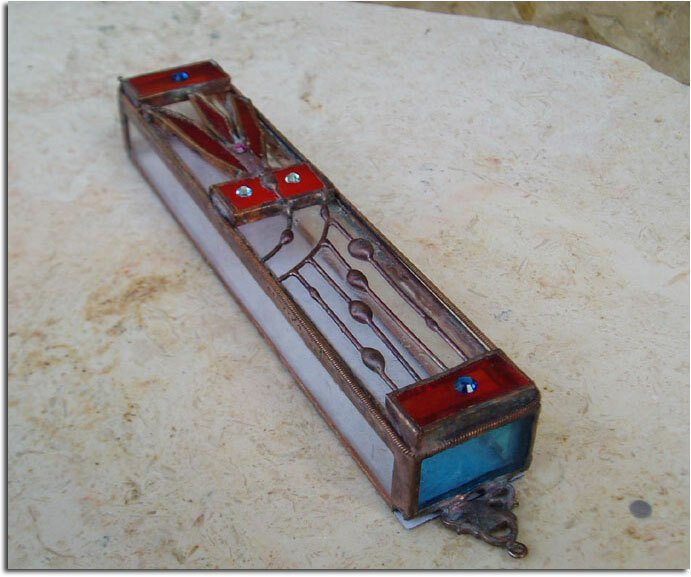 This beautiful stained glass mezuzah is handmade by Chaim Peretz in his workshop in Nachlaot, Jerusalem, Israel. 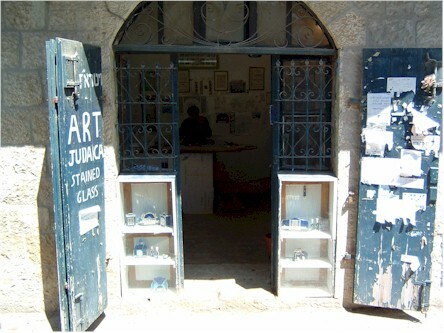 Each piece is unique, completely handcrafted and 100% kosher. 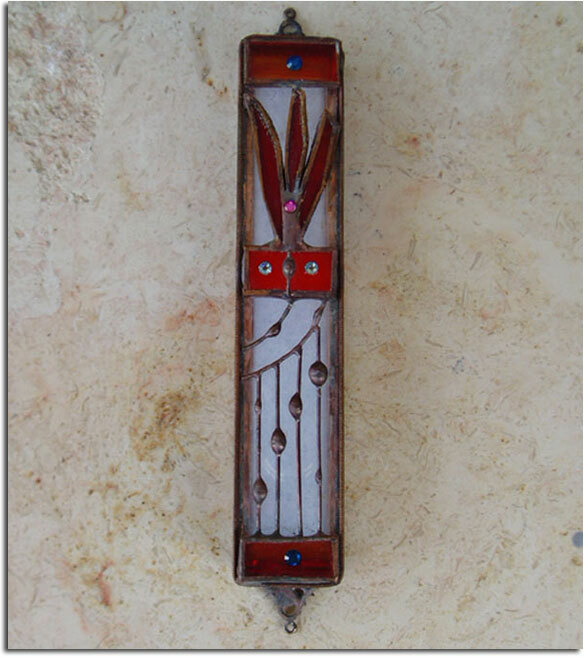 Made from stained glass & copper, this piece depicts a harp and a 'shin' together, totraditional symbols in Judaism.The harp symbolized King David and his relationship to G-d. 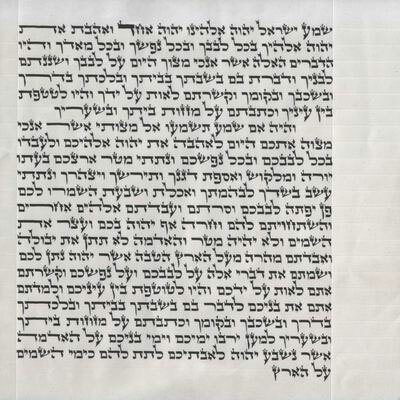 The shin is the sign of the protection the Almighty provides for Jewish homes. 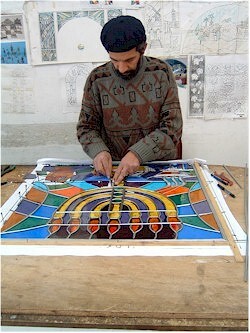 This is a beautiful gift for any home, office, synagogue or for anyone who appreciates fine stained glass work. 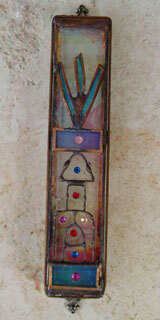 Each piece is unique, handmade and slightly differs from the image on this page.